Today I want to talk to you about how Joan of Arc destroyed my self-confidence. Actually, that’s not right - my apologies to Joan. It’s not fair to blame her. It was all entirely my fault. Or maybe the teacher’s for putting me under so much stress. But whoever was to blame, those few unhappy seconds in a French lesson when I was eleven years old had a dramatic effect on my self-confidence – an effect that lasted for almost twenty years. Let me set the scene for you. I was newly transferred to the class, and painfully shy, so it was unfortunate that one of the first things I had to do was to give a talk in a French lesson. 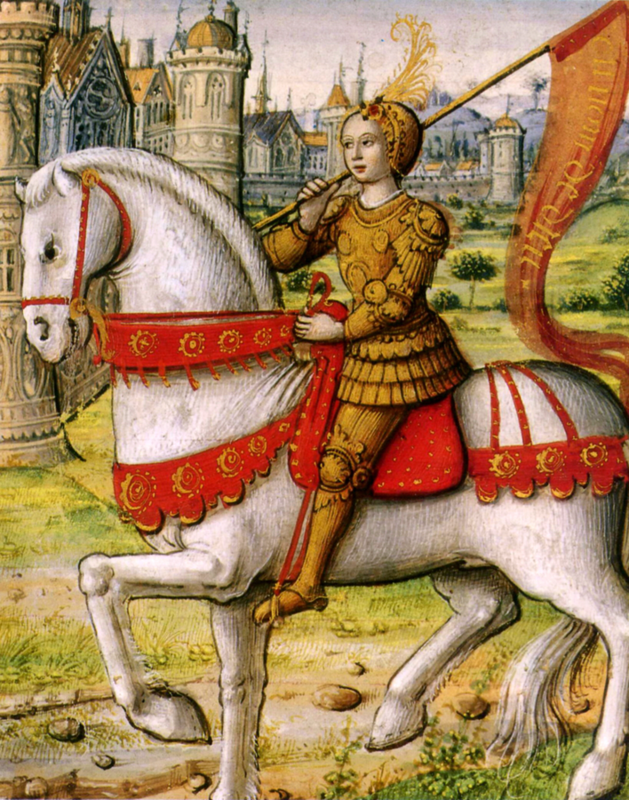 My allotted subject was Joan of Arc (for those of you who don’t know, Joan – otherwise known as Jeanne d’Arc – is a Fifteenth Century French saint). I duly did my preparation and went to stand nervously at the front of the class when it was my turn to speak. 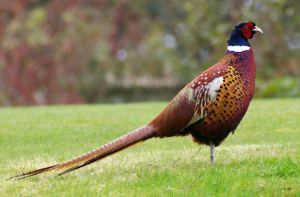 I had, of course meant to say peasant – a country dwelling agricultural worker, not a large, colourful game bird – but nerves got the better of me, and I’m sure you can imagine the reaction that followed my slip up. There was general hilarity in the class, pretty much drowning out the rest of my faltering words. I expect my classmates soon forgot about it, entertaining as it was, but I certainly did not forget about it, and the incident affected me drastically. I clammed up almost completely after that – never saying anything at all in class unless I was forced to, and unfortunately this silence and terror extended to my life post-school. My extreme phobia about public speaking limited the courses I could take, and the jobs I could apply for. Until finally, with my thirtieth birthday looming, I decided enough was enough. It was time to do something about this fear. So, I did. 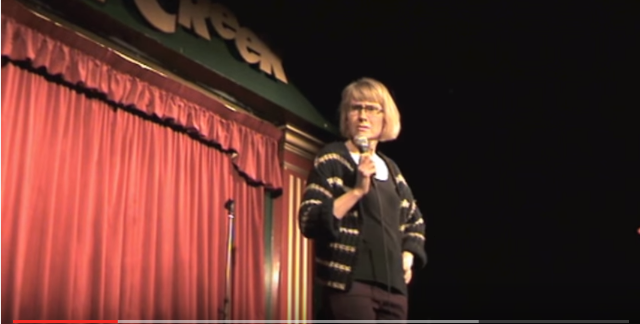 Very gradually, until I proved to myself that I’d made a complete recovery by performing stand-up comedy to a crowd of two hundred people in a London comedy club. (I put my experiences into a novel!). So, how did I do it? By taking baby steps, and celebrating each and every one. First of all, I joined an adult education class – I don’t even remember what it was about now – and then I challenged myself to make one statement, or to ask one question at every session. Then two statements or questions. Then three. (You can’t imagine how my heart pounded and my hands sweated as I willed myself to speak). So, if you want to write, but something’s holding you back, find out what that something is. Be kind to yourself. Take baby steps to deal with it, and celebrate each and every one. Think in terms of asking a question in an adult education class, rather that a full-blown stand-up comedy performance straight away. Get support on your crusade. (Although maybe not from Joan!). Your efforts will be worth it, because all those little steps can add up to something bigger. Want to learn more about how fear can affect writers and what to do about it? Join my Feel The Fear Webinar on 20th October. If you can’t make it live, a recording will be available to those who register. Oh, and just a reminder that the early bird price of my course Feel The Fear and Write Anyway ends on Sunday 24th October. Posted in Feel The Fear And Write Anyway, My Writing Adventure, Uncategorized, Women's Fiction. Tags: adversity, challenge, comedy, confidence, humor, humour, lifestyle, public speaking, self esteem, self-worth, writing on October 14, 2016 by Margaret K Johnson. That’s My Fear! It’s So Sneaky! When my son was younger, I used to read picture books from the That’s Not My… series to him. If you’re not familiar with them, there are hundreds of books in the series – That’s Not My Truck, That’s Not My Robot, That’s Not My Monster, even That’s Not My Cow! 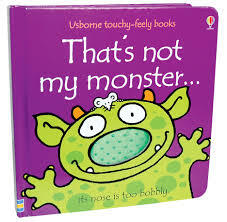 The format is always the same – they start off with several pages of, That’s not my… for example, That’s not my monster, it’s eyebrows are too hairy. Then they finish on a triumphant That’s my… That’s my monster, his spines are so prickly. (Or whatever it is). With my new course Feel The Fear and Write Anyway coming out soon, I’ve been thinking about author fears a lot lately, and in particular, about how people might not always think they have any fears about writing. Then fear is probably at work somewhere, whether it’s a fear about what people will think of what you write, or an insecurity about everything you feel you don’t know about writing, or, quite simply, the strongest fear of all, a fear of failure. 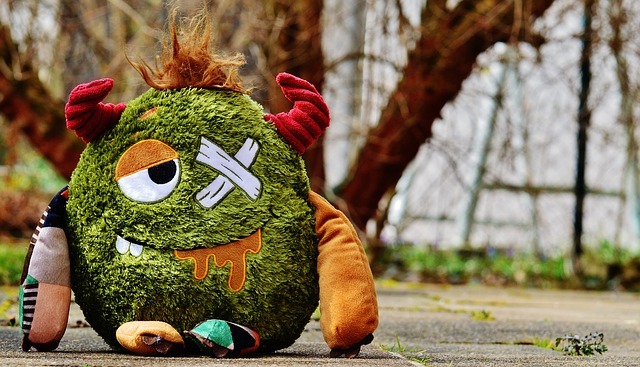 Sometimes, recognising our monster – in this case, what lies behind our self-limiting fear – can help us to deal with it and move on. After all, nobody wants to keep a monster for a pet, do they? Even if it does have a very fetching pair of horns! If you'd like to know more about Feel The Fear and Write Anyway, you can check out the course website or sign up to my FREE WEBINAR on Thursday 20th October, at 2pm GMT. Posted in Feel The Fear And Write Anyway, My Writing Adventure, Women's Fiction. Tags: adversity, challenge, confidence, creative writing, creative writing tips, Feel The Fear and Write Anyway, humor, humour, lifestyle, self esteem, self-worth, women's fiction, writing, writing success on October 11, 2016 by Margaret K Johnson. Let me introduce you to Emma. She’s fun to be around, enthusiastic about writing and very talented. These days she has established a writing routine that works for her, and she writes regularly, despite having four young children and a tendency to drop everything to go to music festivals. But it wasn’t always like that. Emma’s enthusiasm and talent for writing were always there, but the writing routine was non-existent, and whenever she thought about writing, she felt fed up and blocked. This was all because of a bad experience she had at a writing class, where she received very unhelpful feedback on her work. Far from highlighting Emma’s achievements and constructively suggesting areas for further development, the tutor for this (somehow) sought-after course, slated Emma’s work. He pulled it apart so thoroughly that her self-esteem – and virtually her will to live – were in tatters. I might never have met Emma at all. She might have decided to give up on her writing dreams at that point. But a few years later two of her friends told her about my courses, AND she had a link to the enrolment page pop up on her Facebook timeline. Fortunately for me, Emma decided to view this as fate at work, because Emma came along to one of my courses, and she’s a joy to have in a class. Not only is she talented, but she’s so helpful to other group members. When Emma first told me about her ordeal, and how it had stopped her from writing for several years, I was furious. How dare that tutor treat Emma’s precious writing dreams like that? Emma explained to me that she was writing science fiction, which was far removed from the literary fiction the tutor had published, but this was no excuse at all, as far as I was concerned. Published writers – no matter how successful – should never forget how vulnerable people can feel when they first start sharing their words. I know I certainly haven’t. As I’ve gained in experience and had many novels published, my self-confidence has grown to the point where I’m able to sift through feedback and make a judgement about whether it’s relevant and helpful or not. (If it’s from an editor, I’ve also learnt to be tactful if I don’t think so!) I always make a point in my writing classes of helping my students to develop the highly useful skill of giving and receiving constructive feedback. It’s such an important part of a writer’s development, because you can learn so much from it. 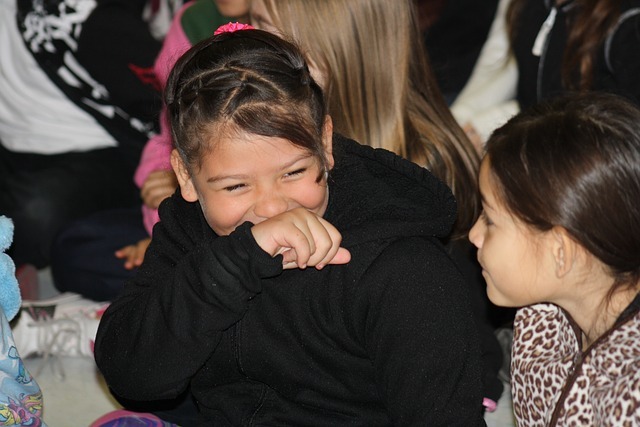 When I began teaching my creative writing classes, I encountered that vulnerability and that fear of exposure over and over again, and decided that my classes had to include an element of confidence-building in order to be of use to people. 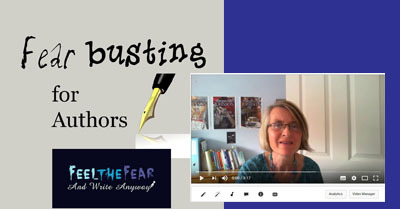 As for Emma, she very kindly took part in the pilot version of my course Feel The Fear and Write Anyway – Self-Confidence For Authors, which opens for enrolment very soon. I asked Emma and other recent students to try it out and to give me feedback, so that I could make it as useful as possible. The power of feedback, see? I’m happy to say that all their suggestions were really helpful – and constructive! I’m so excited that by creating an online course designed to boost writers’ self-confidence while they’re developing essential writing skills and habits, I’m going to be able to help people I might not otherwise have been able to reach. People who want to take that first step towards realising their writing dreams. Or, if they’re like Emma, people who want to recover from a set-back to move on towards their goal of completing a novel. Sign up for the FREE Fear-Busting Challenge for Authors here. Posted in Feel The Fear And Write Anyway, Women's Fiction. Tags: adversity, challenge, confidence, creative writing, creative writing tips, Feel The Fear and Write Anyway, fiction, lifestyle, relationships, self esteem, self-worth, success, women's fiction, writing, writing success on September 30, 2016 by Margaret K Johnson. Showing our writing to others (and therefore missing out on potentially valuable feedback, or even publication). I suppose, as human beings, we usually want to be accepted and approved of, even if it’s only because it’s much easier than feeling out of kilter and unaccepted. 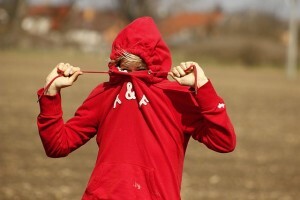 So sometimes we hide who we really are in an attempt to fit in better. You can watch a video of this blog post, or carry on reading! For many years, while I was building my career as a writer, there were times when I wished with all my heart that I wasn’t a creative person. Yes, really! I was working thirty-seven hours a week in a college of further education at the time – I’d started there as a temporary typist, then worked my way up to the heady heights of Central Admissions Officer, dealing with hundreds of applications to the college within an office of Examinations Officers. I expect you get the picture. I was bored out of my mind. Frustrated that I had to work in a job I disliked so much, when all I wanted to do was to write my novels. 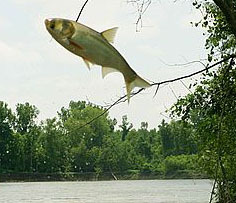 I was a fish-out-of-water, and I didn’t want be a fish-out-of-water. I longed to belong, the way everyone else seemed to belong. I didn’t want to be viewed as a single, ex-art-college oddity, even if that was exactly what I was. I was convinced that people who didn’t experience a compelling need to produce art or literature found life amuch simpler. That they didn’t feel constantly torn and dissatisfied the way I did, and that it was much easier for them to feel contended. Back then, I thought everyone but me was content to live in the moment, without constantly wanting to submerge themselves in make-believe or to use their experiences to produce something. That they just were. I also believed they were critical of me because I wasn't like them. It was complete rubbish, of course. I imagine the rest of the college staff mostly fitted in better than I did because they made more effort that I did. 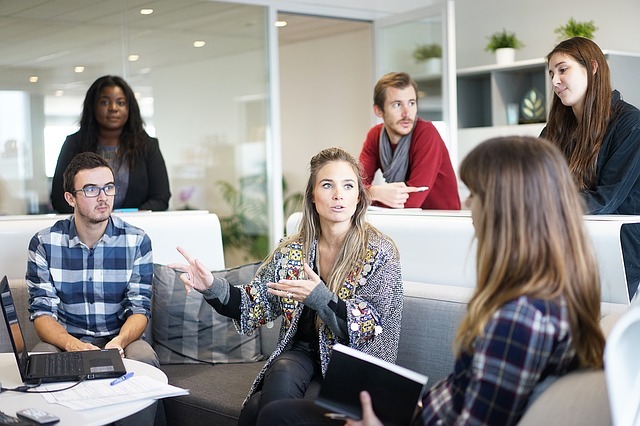 That at work, their creativity, or their focus, went into doing a good job, and not into getting by grudgingly until five o’clock. And far from being judgemental or critical about little old self-conscious me and my way of life, I don't suppose they gave me very much thought at all! I didn’t really stop worrying about what people thought of me until I was older, and had learnt to accept myself. And getting consistently published was a large part of that, because with several books under my belt, at least I could think to myself, OK, I may be different, but at least I’m getting paid for it. People are buying my books. Enjoying them too, hopefully. But the point is, if I’d allowed my fear of what other people thought of me - or in my case perhaps what I thought people thought of me - to completely destroy my spirit, then I might never have written my books. Or, even if I had written them, I may never have found the courage to show them to anybody. Or to take the initiative to ask for opportunities, or to pitch ideas, or any of the other things that can lead to success as an author. When we first set out on our writing journey, the company and encouragement of other writers and would-be writers who understand can be a vital boost to our self-confidence. As we start to trust other writers, we feel able to take that first frightening step of letting them read our work. And as with anything that’s frightening or challenging, every time you share your writing with other people, it gets easier to do. Your comfort zone expands, almost without you being aware of it doing so. So, if you're holding back from writing or showing your writing out of a fear of what other people will think of you, try to take some action to break through that barrier, a little at a time. Write exactly as you want to write. Do something that could lead to you finding someone to share your writing with, like joining a writing group, class or forum. And gradually, gradually, start to belive in yourself and your dreams. As you do so, your horizons will expand almost without you realising it. Join my FREE 10-Day Fear-Busting Challenge For Authors and conquer your fears about writing! Where Do You Get Your Ideas From? Inspiration for Writers. Posted in Feel The Fear And Write Anyway, My Writing Adventure, Women's Fiction. Tags: adversity, challenge, confidence, creative writing, creative writing tips, creativity, Feel The Fear and Write Anyway, health, lifestyle, self esteem, self-worth, Write Despite, writing, writing success on September 23, 2016 by Margaret K Johnson. Where do you get your ideas from? Part Two! In my last post, I looked at how I've used my experiences in the work place in my novels. 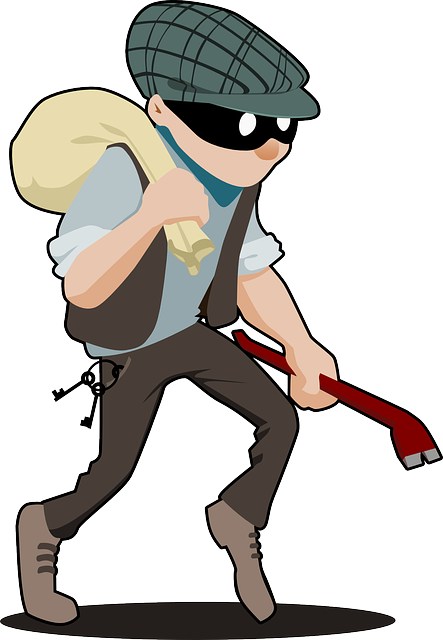 This time, I look at how you can steal ideas from other writers. Only kidding! Nothing illegal about this, I promise. Watch the video to find out more! Always wanted to write but can't get started? Or started and now you feel stuck? 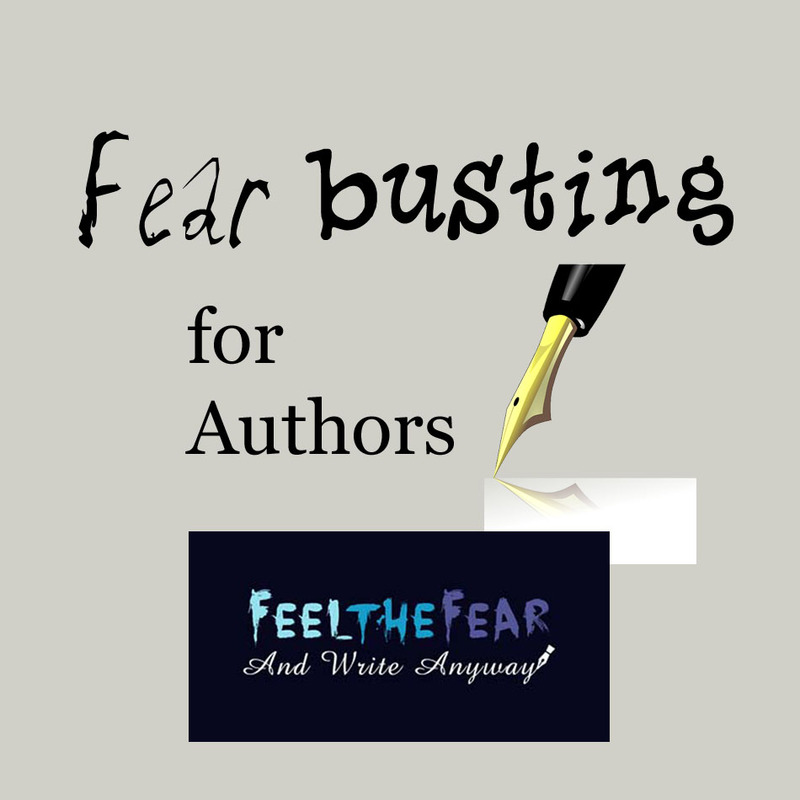 Sign up for the 10-Day Fear-Busting Challenge for Authors and get writing! Posted in Feel The Fear And Write Anyway, My Writing Adventure, Women's Fiction. Tags: creative writing, creative writing tips, Feel The Fear and Write Anyway, humor, humour, lifestyle, women's fiction, writing, writing success on September 6, 2016 by Margaret K Johnson. 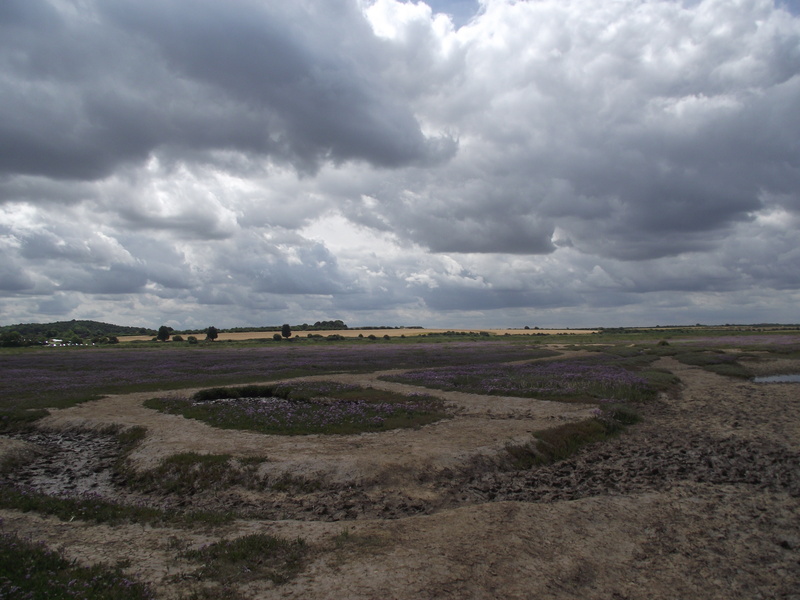 We came to the marshes on Thursday last week, and it rained. We watched, pensioner-like, from the car, the hot air blower on full to clear the mist, feeling disappointed. It wasn't just a light rain, it was a full-on pelting. Stair rods. People were returning from the distant horizon with boats and dogs, slipping in the churned-up mud slurries. Comical, yet enviable at the same time, because they'd been where I wanted so badly to go. I got out of the car with my umbrella, reluctant to be cheated from my own fix, and immediately saw the vibrancy of the purple-mauve sea lavender undiluted by the glass of the windscreen - breath-taking, awe-inspiring, painted out against the dark drama of the rain clouds. So utterly beautiful. But the rain persisted, and the dog barked relentlessly at the windscreen wipers, fraying three tempers, so we gave up. Those marshes filled my mind though, returning again and again in the next few days, compelling me to try once more. We returned on Monday, my son, the dog and I. No rain this time, just four mischevious boys from the campsite who asked if they could have our car when we got out to put on our boots. (I didn't get the joke either). Leaving them - and the car! - behind, we stepped out onto the long-awaited marshes. 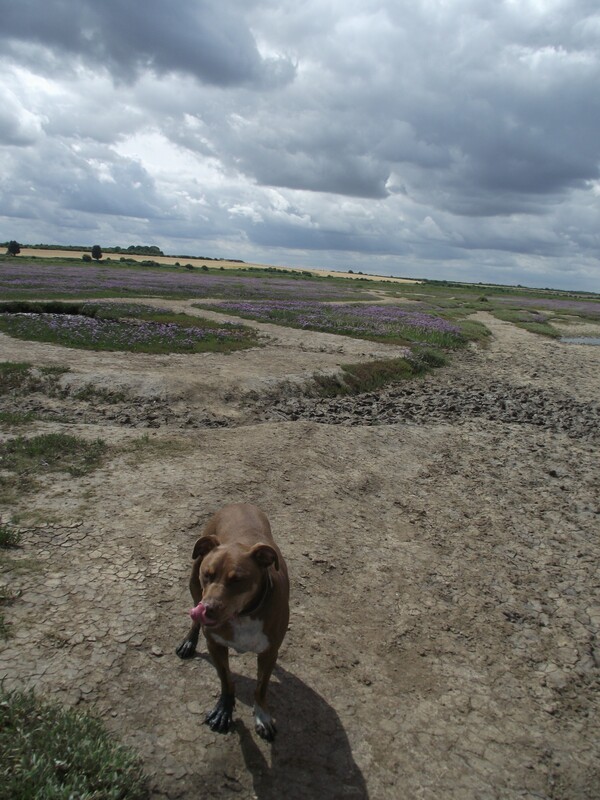 Funny, without the drama of the dark sky, the impact of the sea lavender was lessened, though still very present. The purple was mauve that Monday; subtle and sweeping instead of breath-taking, but still beautiful. The meandering path wasn't trying to make us slip or slide either - the mud was tamed, or almost so. We could leap over gullies in the safe low tide. Eat our sandwiches on a hummock of turf. A baby was tapping into the primitive though, crawling and splashing, naked in the marsh mud. Blackened and comfortably content, his mother speaking to me of hosing down at the campsite, ignoring thoughts of cries and protests, or at least putting them aside for the present, in exchange for her son's life-fulfilling experience and wonder. Any adult would have been envious of that unrestrained mud frolicking, wouldn't they? I know I was. And yet I smiled and made some comment I've forgotten now and moved on in the wake of my son and the dog. They are so similar, my son and my dog. Without inhibitions, both of them speaking to new people without reserve, both taking the less straight-forward route through the marshes to catch a glimpse of magical, darting fishes in a pool left behind by the tide. Acknowledging their contentment, I looked back the way we had come, towards the line of woodland crouched beyond the coastal path, marking the border of the campsite. As an oyster catcher hurried past with its urgent cry, ornagey-red bill pointing its way to who knows where, I imagined my characters as I will write them in my novel, making their way from the village hall. Two evacuees - an inappropriately-dressed mother and her young son, escorted by Lilias, the land-owning woman who has just claimed them, making their way back to Marsh House, their temporary home. "There's nothing here, is there?" says the mother, as her heel turns yet again in the soft turf. "Nothing at all." Lilias stands to observe the woman's unsteady progress and thinks of the sea lavender, the secret gullies and the oyster catchers. She grew up beside these marshes and loves them with her whole heart, but she says only, "We shall have to get you some boots." I'm excited about writing my book; the ideas are growing and mushrooming in my mind, but right now I don't know if I can truly walk into it, or whether it will prove to be like last Thursday's marsh - kept just out of reach by life and circumstances for a while. "I'm going to walk along the pipeline, Mum," my son calls to me, and I turn away from Lilias and her evacuees to make sure he's safe. Posted in My Writing Adventure, Women's Fiction. Tags: creative writing, Feel The Fear and Write Anyway, lifestyle, marsh, marshes, Norfolk, Norwich, planning, planning fiction nature. 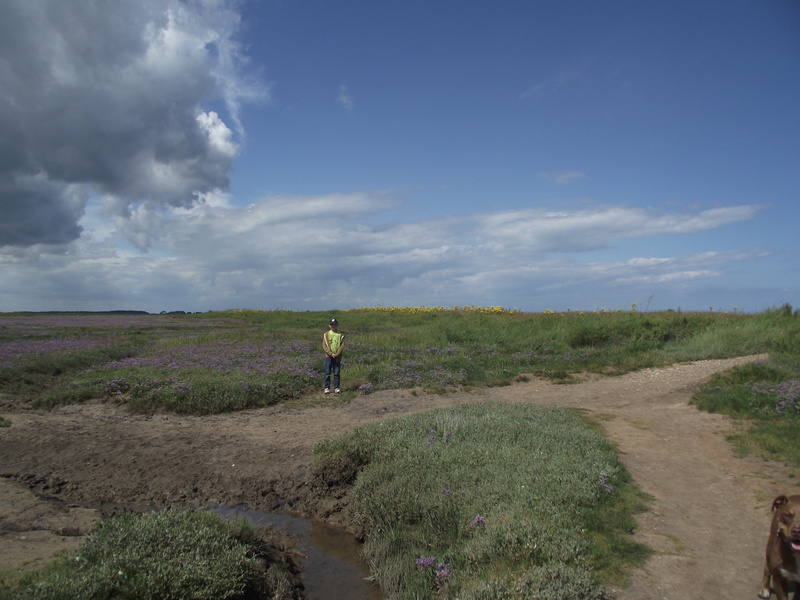 birds, Stiffkey, walk, walking, women's fiction, Write Despite, writing, writing success on August 5, 2016 by Margaret K Johnson. On Saturday, I took my son to London for the day, and after a hectic trip to the Natural History Museum to see dinosaur skeletons and to experience earth tremors, I parked him on a bench inside the Tate Modern. While he happily played Jetpack Challenge on his phone, I toured the exhibition galleries with a good friend and absorbed myself in the paintings of the American artist Georgia O'Keefe. 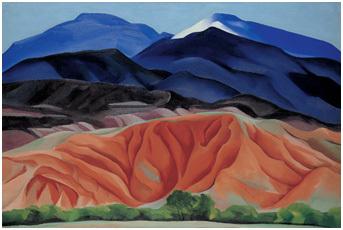 Georgia (1897 -1986) painted sensuous mountains and flowers, using glowing colours and languid rhythms to show their essence and spirituality. 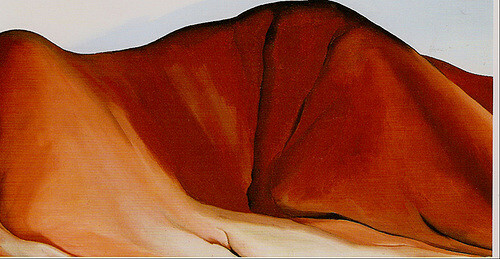 She was passionate about her subjects, but also revealed the core of herself as she painted them. 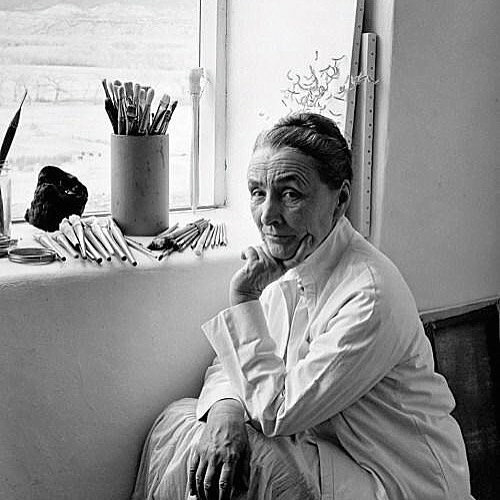 At times, Georgia seems super-human, living as she did until the age of ninety-eight, dedicating herself to producing pioneering art, her career spanning seven decades. And yet, this straight-talking woman of strong opinions and an even stronger work ethic, longed to have a child with her lover then husband Alfred Stieglitz. 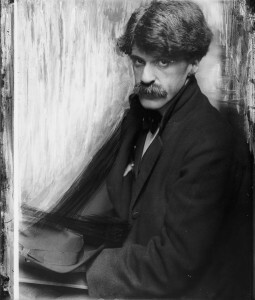 Twenty-four years older than Georgia, Stieglitz's favourite sister had died in childbirth. He also felt too old to become a father again. (Stieglitz had a daughter, Kitty, from a previous marriage). 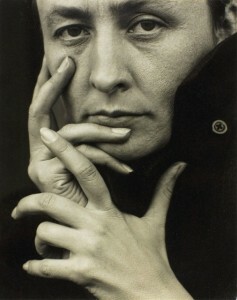 But chiefly, he felt that Georgia's fierce focus on her art would be diluted if she had someone else to think about. I believe he was right here - although this doesn't necessarily mean he had the right to deny his wife one of the most fulfilling experiences there is in life. Georgia, who craved solitude, and who was at her happiest battling the elements in the deserts of New Mexico in order to paint its mountains, would certainly have had to employ someone to look after any children while she was thus engaged. But, as any mother will know, whether they were taken care of or not, it's highly likely there would always have been a part of Georgia's brain reserved for her children. Having experienced that overpowering need to have a child myself (happily resulting in my son, Alfie, now eleven-years-old) I can understand how the urge to become a mother takes you over and controls every aspect of your life. 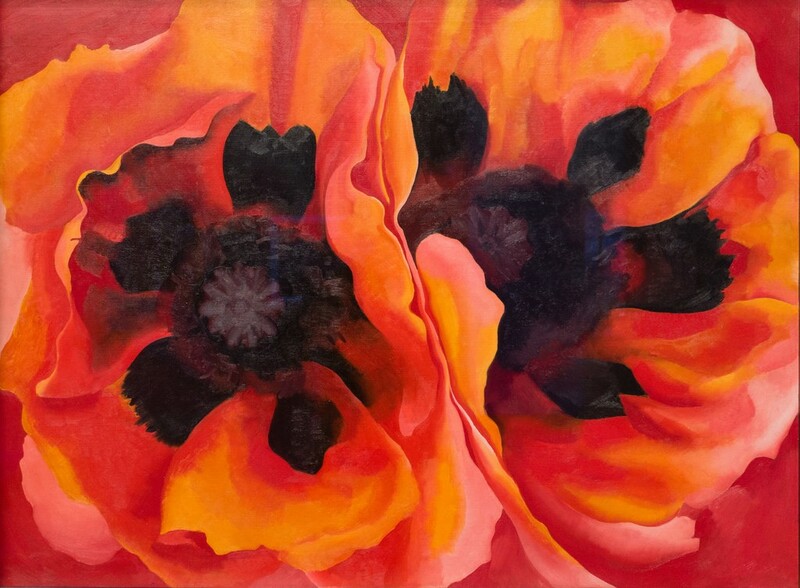 Georgia O'Keefe's paintings are filled with emotion, and I've no doubt that her childlessness is built into their fabric, as must be the affair Steiglitz had with another younger woman for many years, and his ultimate death in 1946. Georgia never had to fit in her passionate work between the equivalents of visits to the park, requests to use the pc to record YouTube videos or trips to Accident and Emergency after stunt scooter accidents, and she has an impressive body of work to show for it. And yet, if we are mothers and we also want to write, paint, or to create in any way, then it's possible - and necessary both to ourselves and those around us - to find a piece of the creative world Georgia had in order for us to be fully ourselves. So, I'm spending the summer compartmentalising my life, making bargains and compromises with my son. Unashamedly using YouTube and X-Box as baby sitters to give myself time for Gorgia O'Keefe focus. As my son is extremely passionate about watching YouTube and playing on his X-Box, I'm certain I could get away with leaving him to do this all day, allowing me to work without restraint to tackle my own personal New Mexico mountains. But I wouldn't do it. There are crabs to be caught. Waves to be surfed. Trees to be climbed. 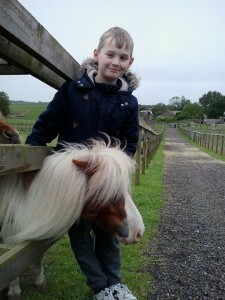 Adopted Shetland ponies to be adored. In a few short years, my son won't need me nearly so much, and then I'll no doubt have more Georgia O'Keefe space and spirituality than I can handle. So for now, I'll willingly juggle my life to embrace them both. Posted in Feel The Fear And Write Anyway, My Writing Adventure, Women's Fiction. Tags: art, challenge, childcare, Children, creative writing, creative writing tips, creativity, exhibiton, Feel The Fear and Write Anyway, female artists, Georgia O'Keefe, lifestyle, New Mexico, painting, summer holidays, Tate Modern, women, Write Despite, writing, writing success on August 1, 2016 by Margaret K Johnson. A post that first appeared on author Jane Bye's The Breath of Africa blog. When I travelled to Cuba in 2001, it was with revenge in mind. Don’t worry, I didn’t smuggle any weaponry into the country in my luggage. 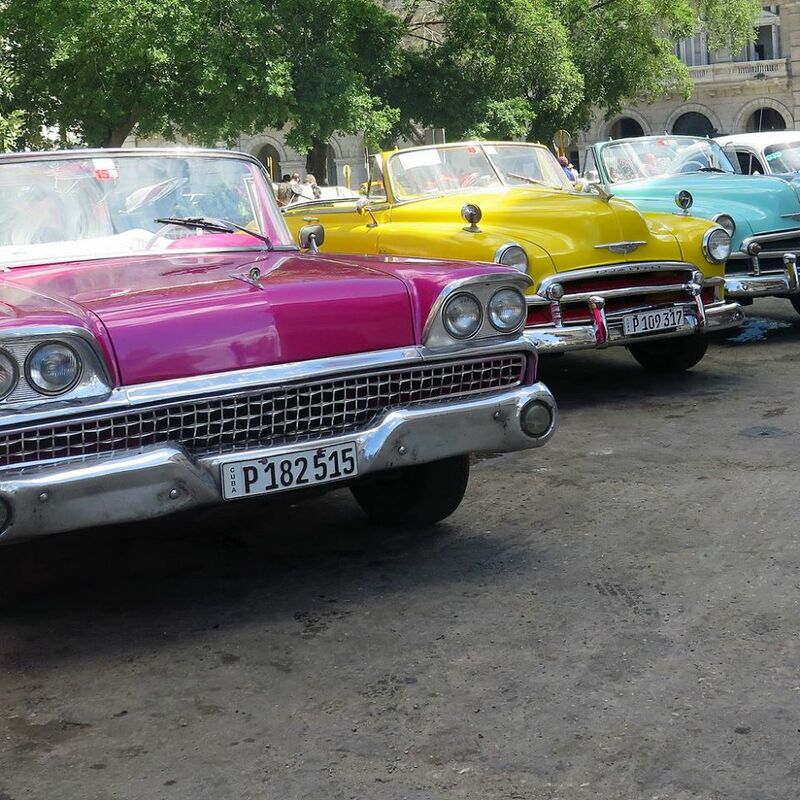 I simply chose Cuba as a destination because I’d been learning Spanish with my ex-partner, and I knew that Cuba would be a country he’d love to visit. But he wasn’t here. I was. And after I’d got beyond the unbelievable chaos of the arrivals lounge, it was to be a fortnight of amazing experiences and fun. It was around six months since my relationship had suddenly ended, and I was still feeling very raw. Fortunately, I palled up quickly with Sharon, a fun-loving Londoner I’m still friendly with today. Together we wondered at the near-empty supermarket shelves, gazed in awe at the crumbling buildings and were chauffeured in classic cars. 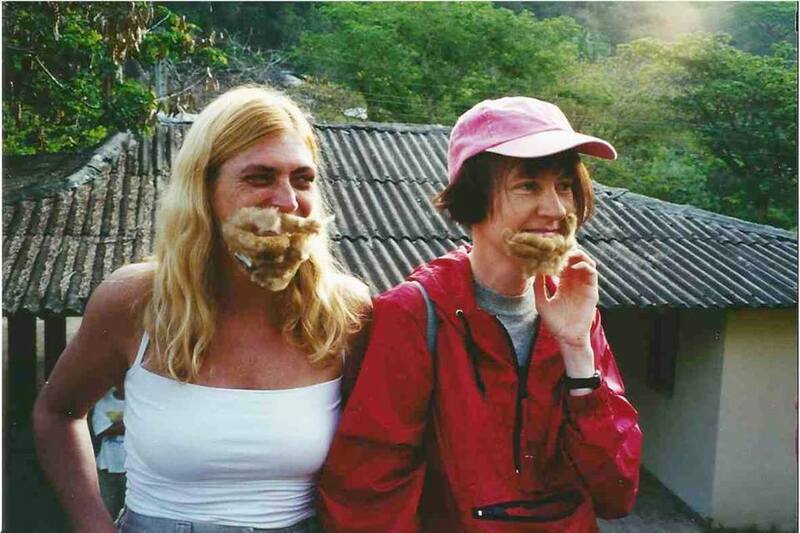 We visited cigar factories, learned about black magic and the Revolution, and spent a crazy hour making – and wearing – fake Castro beards out of catkin seeds stuck onto double-sided sellotape. We played and we laughed, and we fell in love with Cuba with the ever-present images of Che Guevara looking down on our shenanigans. It was absolutely the best gift I could have given my broken heart. 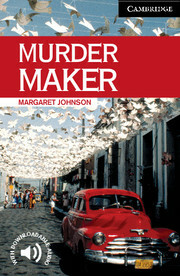 When I returned to the UK, I was to use Cuba as a setting for scenes in two books. First came Murder Maker, a novella for the TEFL market aimed at people learning to speak English. It’s about woman who becomes a serial killer as a result of being cruelly dumped by her partner. Yes, I admit it, it was my therapy book. Later, I wrote Taming Tom Jones, which was published by Crooked Cat Publishing last year. In Taming Tom Jones, I wanted to move two of my female characters out of their usual environment to throw a spotlight on the nature of their friendship. Havana proved to be perfect for this. 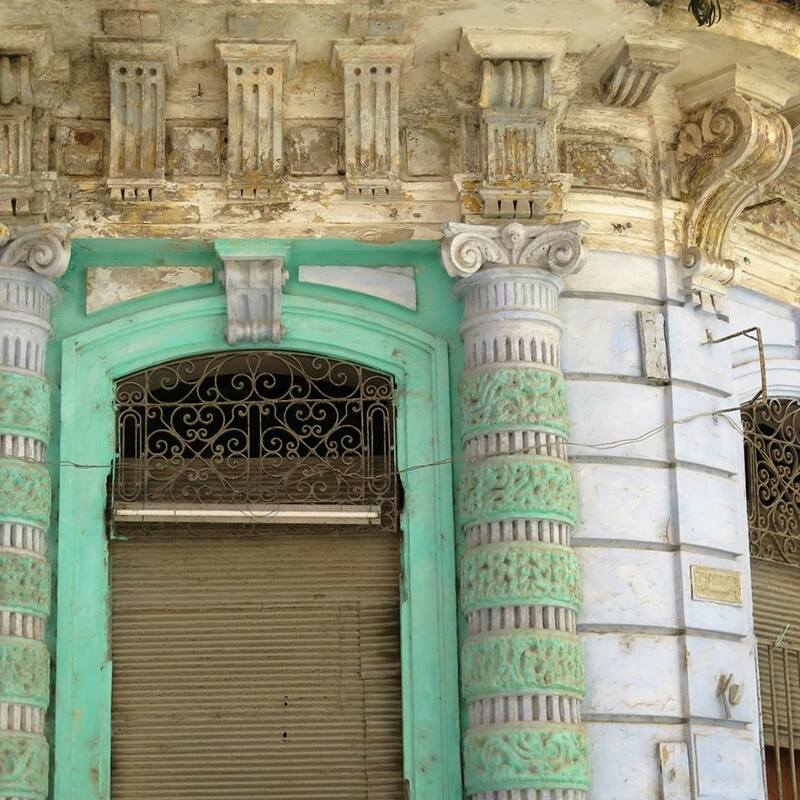 The rambling, decaying streets of Havana play on your imagination and feel full of mystery and the potential for adventure. Even danger. Just right for the dynamics of a friendship to be exposed. Jen, one of my main characters in Taming Tom Jones, is a bit adrift as a person; carried on the tide of other peoples’ wishes and desires. Her time in Cuba acts as one stepping stone to her taking back control of her life, Just as, I suppose, my time in Cuba did for me. I went on to get over my heartbreak and to build a much more fulfilled and successful life for myself, but I have never forgotten how it felt to be that broken person who flew into Havana hoping for the forgetfulness of adventures. 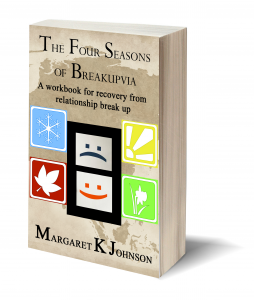 Cuba and the power of writing brought me through it, and it is for this reason that I have just published my first non-fiction book, The Four Seasons of Breakupvia – A Workbook for Recovery from Relationship Break-up at the end of April. It is a book of activities and writing exercises designed to take people through the grieving and re-building process following a relationship break-up, and it draws not only on my own experience of recovery, but also on research I have done on the subject, and my experience as a creative writing tutor. I’m extremely proud of it, and really hope it does people good, and that through using it, I can help them to discover the incredible power of the written word in dealing with loss. I secretly hope to turn them all into writers too! A close friend of mine recently spent four days in Havana and was just as enthralled with it as I was all those years ago. From what she says, it’s hardly changed at all, right down to the near-empty supermarket shelves. Which obviously I realise, can hardly be a good experience for its people. They are extremely resourceful people though; you’d have to be to be able to keep all those amazing classic cars on the road year after year. So, I want to finish off by thanking them and their country for what they gave me for those two weeks I visited. I arrived feeling completely vulnerable and depleted, and left with a thousand experiences and memories to bring my characters and stories to vibrant life. It was a magical time, and I shall never forget it. FREE 10-Day Fear Busting Challenge for Authors. 10 short, empowering videos delivered to your Inbox over 10 days. START BUSTING YOUR FEAR! CLICK TO SIGN UP. Posted in My Writing Adventure, Women's Fiction, Write To Mend Your Broken Heart. Tags: adversity, challenge, confidence, creative writing, Crooked Cat Publishing, cuba, Feel The Fear and Write Anyway, grief, Havana, health, heartbreak, humor, humour, lifestyle, recovery, relationships, Revenge, self esteem, therapy, travel, women's fiction, Write to Mend Your Broken Heart on April 29, 2016 by Margaret K Johnson. Joining us for the Write Despite feature this week is author and actor Angela Wren. Like so many of us, Angela has a nagging critical voice inside her head. Angela calls hers Nemesis. But I'll let Angela tell you about it. Welcome, Angela. What challenges have you had to overcome or deal with in order to write? Luckily I'm fit and healthy and have never had any physical challenges to overcome - unless you count being totally left-handed a challenge! My greatest challenge is my greatest fault and that is my uncanny ability to persuade myself of things that cannot be true. Call it inner doubt, insecurity, whatever you wish, but I call the her that I sometimes become, Nemesis. She is my greatest enemy, she is a rival that I have to keep at bay, and she is always there, somewhere in the background as a voice that will never be completely silenced. She appears at trivial moments - for instance when I'm having that discussion with my wardrobe about what to wear for a night out - as well as critical ones, such as when I'm waiting in the wings to make my first entrance. I have ways of dealing with her but, I've never yet found a way to make her disappear altogether and perhaps I never will. Angela on stage as Elvira in Noel Coward's "Blithe Spirit"
How do you think this challenge has impacted on your writing? Greatly in some respects, even preventing me from writing at all. I've loved stories from being a child and my very first attempts were as a schoolgirl but I stopped because Nemesis agreed with and reinforced Sister Mary Paul's assessment of my efforts. Much later, in July last year when the email arrived in my inbox from Crooked Cat, Nemesis told me to delete it unread. I didn't of course, but it did sit there for two days before I opened it. And even then, as I read the first few lines offering me the contract to publish Messandrierre, my other self was telling me that it had to be a mistake. 'That email was meant for someone else,' she said. I told her to shut up, read and re-read the email, had an hour or so dancing on the ceiling, and then accepted. What was your greatest fear when you first started to write? It's the same with everything I do. Nemesis with her constant nagging question, 'what if nobody likes your production, the character you're currently playing, the story your working on?' She's been asking me that question all my life and I have no doubt that she will continue to do so. What advice would you give to someone who wants to write, but who is feeling held back by circumstances and/or challenges? I think there are far more qualified writers than me out there who can provide pithy, sensible and very useful advice. All I can say is that, in dealing with my Nemesis, I've learned that she needs to be challenged and managed. And there are times when she just needs to be told exactly what to do with herself! Perhaps I'll put her in a book. Maybe she'll leave me be then. Tell us a bit about something you've written that you're really proud of, or something you're writing now. I'm proud of everything I've done but I suppose my first and most awesome writing experience, thus far, was when I returned from France in 2010 to find a letter from an editor wanting to publish a short story called 'Aunt Maggie'. It took a whole box of tissues to get through that moment! And when the cheque arrived, I was so overwhelmed that somebody was actually paying me for my words that I never cashed it! It sits there in a frame on my bookshelf in my writing shed. And I know that when I get my print copy of Messandrierre I'll need tissues, lots of them! I'm working on book 2 in the series, so my hero, Jacques, is constantly with me and he makes a very nice change from Nemesis! Thank you for speaking so openly about your inner critic, Angela! I know you're not alone in your constant fight with negative thoughts. Have you got an inner critic like Angela's Nemesis? Let us know in the comments. 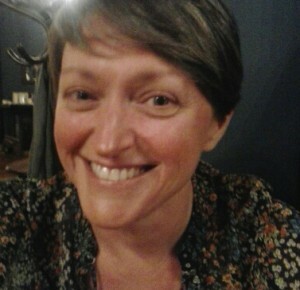 If you'd like to connect with Angela, her links are below, together with her bio. Having followed a career in Project and Business Change Management, I now work as an Actor and Director at a local theatre. I’ve been writing, in a serious way, for about 5 years. My work in project management has always involved drafting, so writing, in its various forms, has been a significant feature throughout my adult life. I particularly enjoy the challenge of plotting and planning different genres of work. My short stories vary between contemporary romance, memoir, mystery and historical. I also write comic flash-fiction and have drafted two one-act plays that have been recorded for local radio. The majority of my stories are set in France where I like to spend as much time as possible each year. Sacrificing his job in investigation following an incident in Paris, Jacques Forêt has only a matter of weeks to solve a series of mysterious disappearances as a Gendarme in the rural French village of Messandrierre. But, as the number of missing persons rises, his difficult and hectoring boss puts obstacles in his way. Steely and determined, Jacques won't give up and, when a new Investigating Magistrate is appointed, he becomes the go-to local policeman for all the work on the case. Will he find the perpetrators before his lover, Beth, becomes a victim? Posted in All About Reading, Feel The Fear And Write Anyway. Tags: adversity, challenge, confidence, creative writing, Crooked Cat Publishing, Feel The Fear and Write Anyway, fiction, Inner critic, lifestyle, Nemesis, self esteem, self-worth, women's fiction, Write Despite, writing, writing success on February 25, 2016 by Margaret K Johnson. 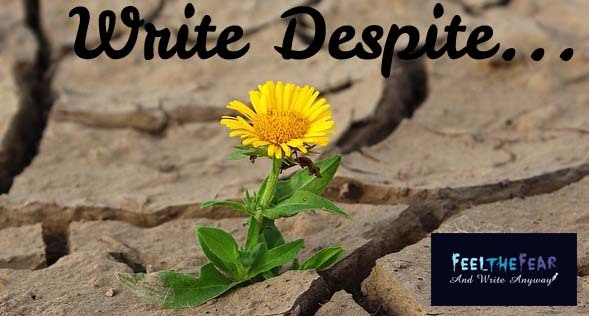 The Thursday Blog Feature about writing despite challenge or adversity. My guest for this Thursday's Write Despite blog feature is best-selling author Shani Struthers. When I first met Shani at a Romantic Novelists' Association party, she was writing romance fiction, but since then she has become a best-selling Paranormal author. Shani is fun to be around, and passionate about her writing. But is writing always plain sailing for her? Let's see. Over to Shani. I haven’t had to overcome physical challenges as such – well, not unless you can call three children a physical challenge! Actually… thinking about it, I think you can term them a physical as well as a mental challenge! I’m the mother of three children. I also work (a freelance copywriter for the travel industry) and, like so many people, I have a million daily tasks to complete. Life is busy, busy, busy! But, I’ve always known I wanted to write novels. Copywriting is great but, in terms of creativity, you’re limited by the brief. It was only when the children had grown older that I could make that dream a reality, grabbing whatever hours I could whilst they were at school, or on play dates, or visiting the grandparents, fitting in a third job rather than taking time out to relax. It’s been worth it though, and, I’m learning now how to find a balance, even if the scales tip slightly over sometimes into late nights and early mornings – writing always seems to find a way! It stopped me frankly, because for many years. I was too tired! But there comes a time when you have to stop making excuses, when you have to sit down and write the first sentence, finding a way to fit it all in, to write the next sentence and the next, until, voila! You have a book. My greatest fear was that I wouldn’t be able to craft a novel. For so long, I’d thought about it, but I’d never put it into practice. I’d gained some confidence from my copywriting but a novel, as I said above, is a completely different beast. My first novel was called The Runaway Year, a contemporary romance, set in Cornwall, and, sending it off to various publishers, I was surprised to receive several acceptances. That spurred me on a bit! Tintagel, Cornwall. The inspiring setting for the Runaways series. Writing is supposed to be enjoyable, it’s supposed to be fun; you have to love what you’re doing, and not feel that it’s a chore. Find time for it but don’t beat yourself up about not finding enough time either, not initially – you have to live in the real world too. For people who lead busy lives, balance is something that will come if you’re determined enough. The Highlands of Scotland, the setting for Jesamine. I’m proud of everything I’ve written but my heart lies not in contemporary romance but the paranormal, which is why I’ve switched to that genre. Shani's best-selling Paranormal Psychic Surveys series. I love my Psychic Surveys series, a set of paranormal mysteries, but it’s Jessamine, my heart belongs too. A Gothic-style paranormal romance, set in the Scottish Highlands, the story wrote itself over a couple of months, making me cry on several occasions. 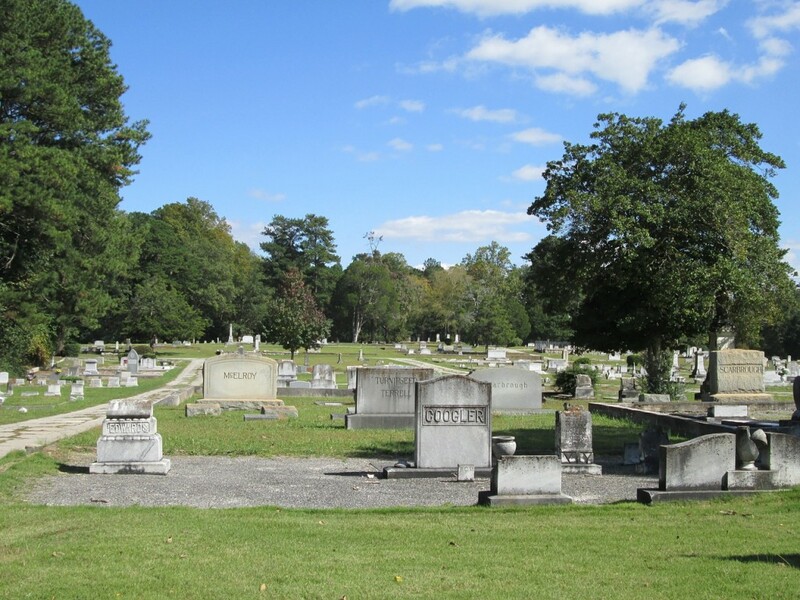 From all the feedback I get from readers, I’ve gathered I tend to write emotions well – in Jessamine, a range of emotions are covered, including grief, loss, acceptance and hope. You’ll need tissues if you read it! Thanks so much, Shani. So interesting and inspiring to us all! Good luck with your future writing. Here are Shani's links so that you can connect with her and find out more. Write Despite. Meeting Louisa Heaton. Vertigo is Not Romantic! Write Despite - Meeting Jane Bwye. Forty Years to Fruition. Posted in All About Reading, Feel The Fear And Write Anyway, Uncategorized. Tags: adversity, challenge, confidence, creative writing, creative writing tips, Crooked Cat Publishing, Feel The Fear and Write Anyway, ghost stories, lifestyle, paranormal, women's fiction, Write Despite, writing, writing success on February 18, 2016 by Margaret K Johnson.